Are you a parent or caregiver of a child with cancer? 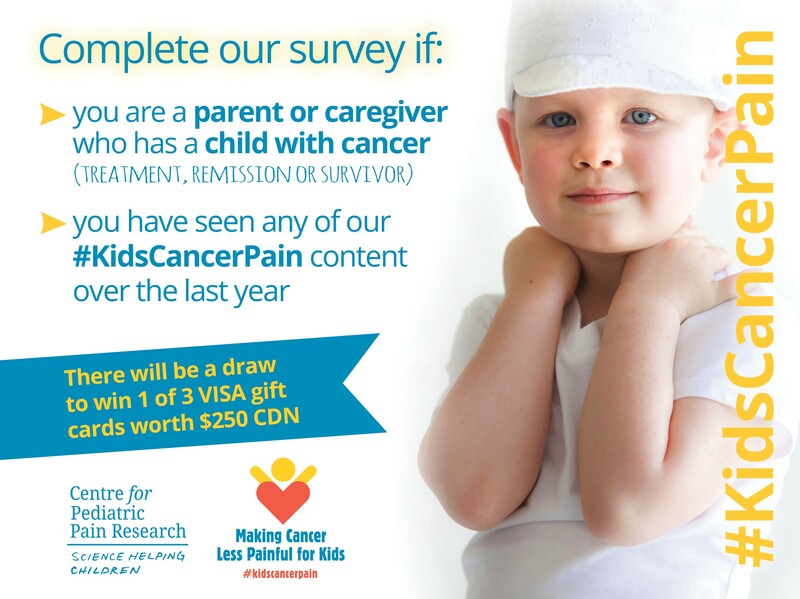 Have you seen ANY of our #KidsCancerPain content over the past year? Please complete our survey! There is a chance to win 1 of 3 VISA gift cards valued at $250 (CDN)!